Halloween is just around the corner and it's time to start thinking of costume and decoration ideas. Many pet parents like to include their pets by dressing them up in cute little outfits and costumes, myself included. I'd say that majority of pet costumes available are only for dogs and some for cats. But what about our small friends like guinea pigs, ferrets, or even rats? I'm sure they'd like to get in on some trick-or-treat action! 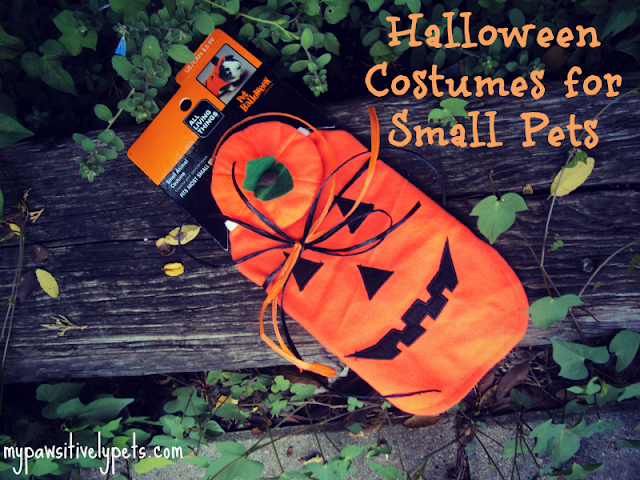 OK, maybe not so much but Halloween costumes for small pets make for some great photo opportunities and memories. Our friends over at PetSmart have a large selection of Halloween costumes for dogs, cats, and even small pets! 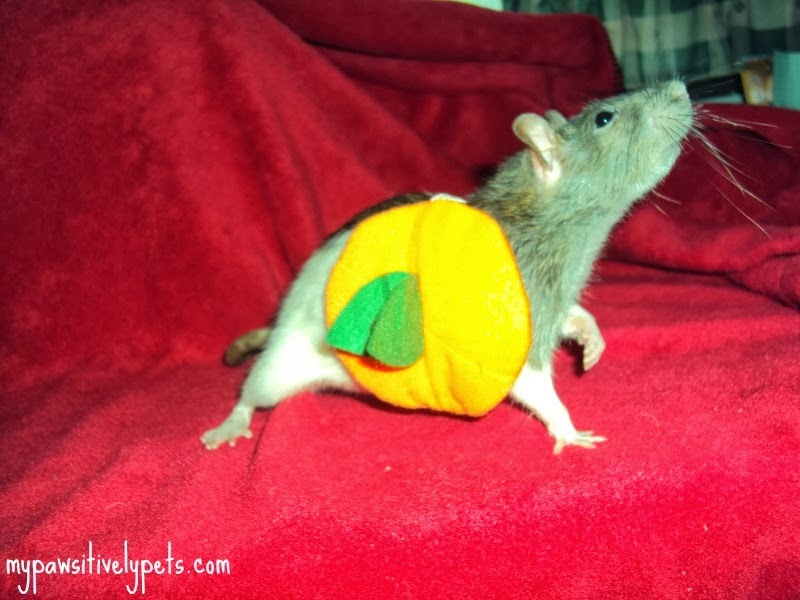 I dress the dog up all the time, so I was thrilled when they sent over a Halloween costume for my pet rat, Nibblet. Shiner is sighing with relief right now. 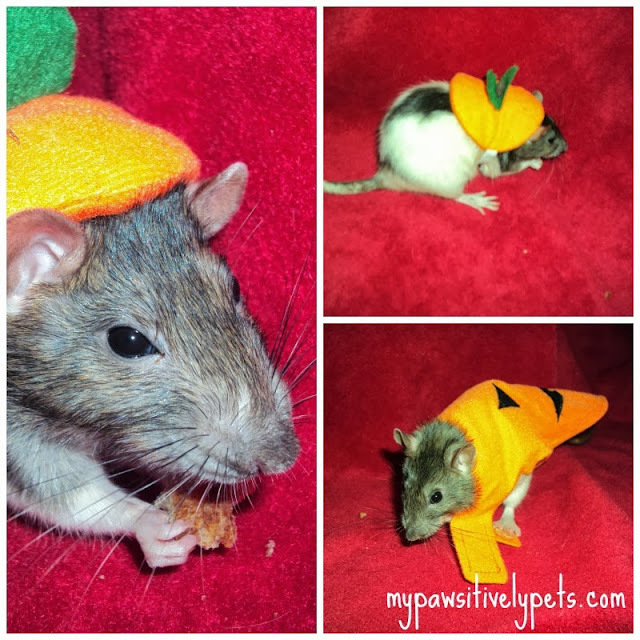 Pumpkin costume for guinea pigs from PetSmart. PetSmart sent us a pumpkin costume that is ideal for guinea pigs to wear. Nibblet is a little smaller than a guinea pig, but I still think the costume made for some adorable photos. See for yourself! The little pumpkin top hat fit the best on Nibblet. It was just her size. Nibblet is pretty hard to photograph because she's constantly moving, so this was a bit challenging. The one below is my favorite though. 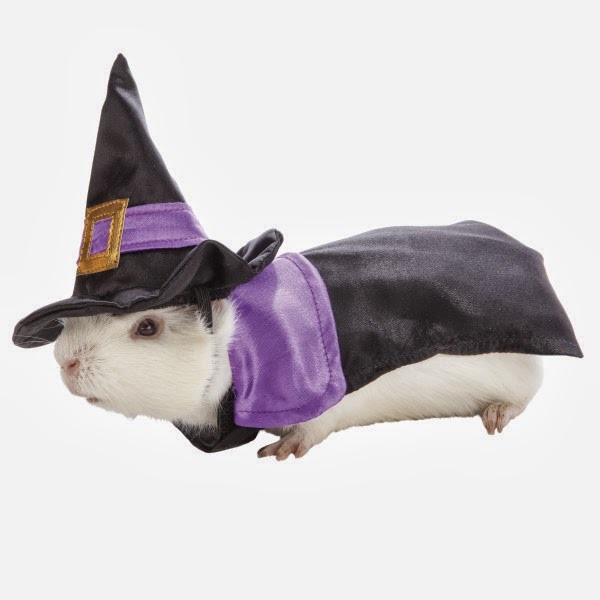 If you have a guinea pig and are looking to take some cute photos for Halloween, I think this costume would be a perfect fit. PetSmart also has a witch Halloween costume for small pets available. The packaging clearly states that these costumes should not be worn by the animal for more than an hour and always with supervision. Safety first! If you'd like to see all of PetSmart's Halloween costumes, treats, and toys you can visit their Halloween Shop. A lot of the costumes are on sale right now. Would you dress up your small pet for Halloween or other special occasions? Disclosure: PetSmart sent us one costume in exchange for our honest opinion. 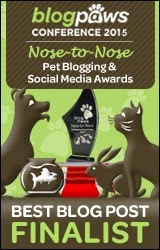 Pawsitively Pets did not receive any other compensation for this post and all opinions expressed here are our own! 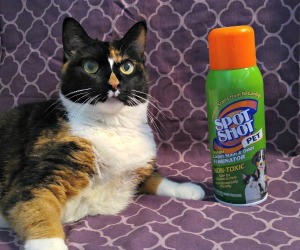 Something tells me those teeny pets would be a little more patient than us cats! Ha! Hardly... I swear she does not stop moving! This is probably the cutest thing I've EVER seen! LOL Check out Nibblet! So cute! OMG, Niblet is ridiculously adorable! Lol - I can imagine! I can't imagine me getting Muffin the guinea pig into one of those...and the cats, forget it! I'm sure she'd be much happier just eating the candy lol! Those are so teeny and cute! 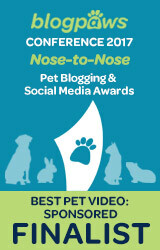 Hey, we just saw the posts over at Healthy Paws too and it is so cool to be there with you! How cute. I bet Niblet would make a tasty, er cute witch. We love the closeup. LOL very cute. When you wrote small, you meant it! Niblet is adorable and sure doesn't seem to mind modeling! That is too cute, that pumpkin costume. I would love to have a costume for Two Two. She does like to dress up. I will have to look around. Take care. That witch costume is soooo cute! The last photo of Nibblet really just made me laugh out loud. I think she is trying to start a new fashion trend for rats wearing their hats! All the photos were cute though, what fun! My animals really don't like being dressed up, so I am going to just enjoy others' photos like these this Halloween. Can't wait to see Shiner! Nibblet is sooooo adorable in that costume!!!! Awe! I bet my rats Peanut butter and Oreo would look sooooo cute in that, except form the fact their least favorited thing to do is put on costumes.